This is an exciting time around our program as we start our spring camp this week. We will practice each night this week and conclude by practicing at McMaster on Thursday March 24th. 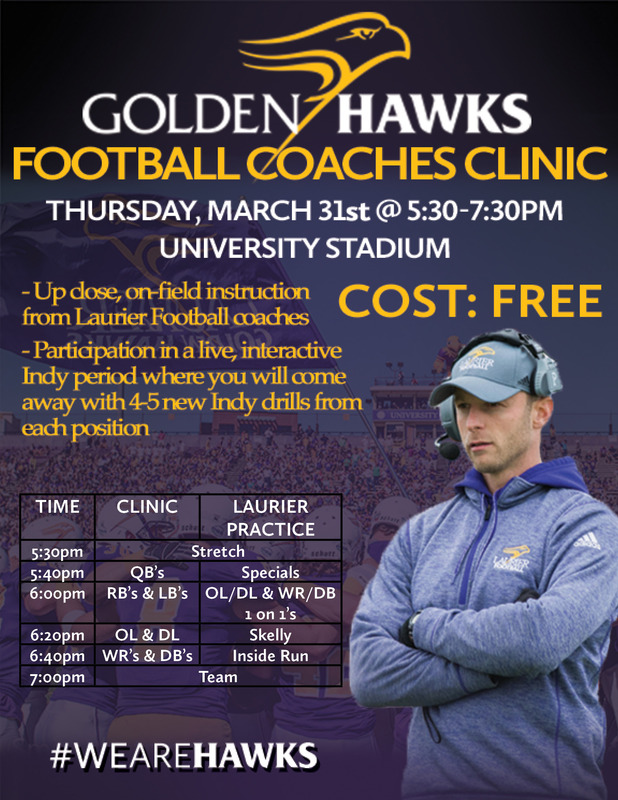 We will then take a break for the Easter weekend and get back to work next week, concluding our spring camp with another combined practice – this time against the Waterloo Warriors on Saturday April 2nd here at Laurier. Presented once again by Sun Life Financial, the dinner will be held on Thursday April 28th at Bingemans Conference Centre in Kitchener, Ontario. Silent Auction Items: a big part of our football dinner is the silent auction. If you have something for the auction that you would be willing to donate, please let us know. Anything from sporting event tickets, golf rounds, sports paraphernalia, etc. Your support is greatly appreciated! Help us expand our subscribers list and send me mfaulds@wlu.ca the email address of anyone interested, please and thank you!